Deposit Funds in a Flash with our Titan Trade Ukash! To simplify the entire trading process is Titan Trade’s primary goal. From registration and funding to trading binaries, we see to it that all processes are completed within the fastest time possible, especially when it comes to depositing funds into one’s account. Moreover, we take safeguarding your funds extremely seriously, and for this reason we only support the most secure and reliable online payment methods to protect your funds against fraud and other malicious threats. Traders can now enjoy the convenience of online Titan Trade banking via Ukash, an electronic wallet service provider that enables you to use electronic money instead of real cash to send payments online. Titan Trade Ukash is simple, easy to use and most importantly, secure. When you choose Ukash as your mode of payment, you will be using a voucher that contains a unique 19-digit code. Unlike credit and debit cards, you don’t have to enter any of your financial details online. 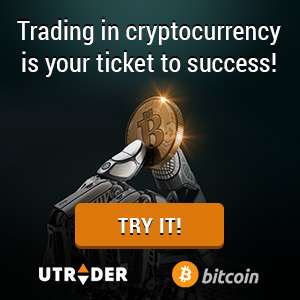 Simply exchange your cash for a unique 19-digit Ukash code, key in the code into our Deposit page, wait for the confirmation and start trading! It’s really that simple! You don’t have to wait for hours or days before you can enjoy the lucrative benefits of binary options trading, as deposits made via Titan Trade Ukash are credited instantly into your trading account. Moreover, getting Ukash is easy and convenient as it is available at over 420,000 outlets in 55 countries. You can get Ukash vouchers from petrol stations, ATMs, kiosks, shops and online. For your convenience, use their store locator to find your nearest Ukash outlet. Experience secure and expedient banking with Titan Trade Ukash! This intuitive online payment system gives you the ability to deposit funds safely and efficiently without sharing your financial information online! It’s fast, simple, and reliable. You will never run out of credits again! Don’t let another significant financial opportunity slip through your hands, make quick cash deposits using Ukash today!